My office is across the street, and across a couple of runways, from Porsche North America HQ. Their Cafe 356 is very good, if a bit expensive, but it is a good place to watch cars and planes and grab lunch from time to time. They always have some cool hardware sitting around. 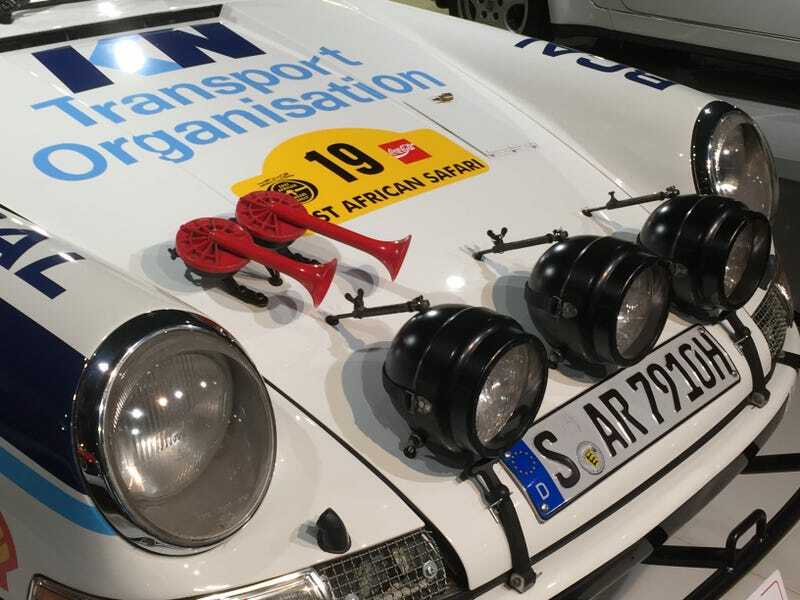 I was excited to see the Rothaman’s 956, but I was really excited to see the Safari Rally car.